T H WHITE Energy, Fire and Security was the proud winner of a competitive tender to carry out the installation of a completely new wireless addressable fire alarm system and to provide an ongoing service and maintenance contract. Wireless was chosen over a wired system due to timescales and because this type of system causes relatively no installation intrusion to the building and therefore no disruption to any asbestos that may be present. 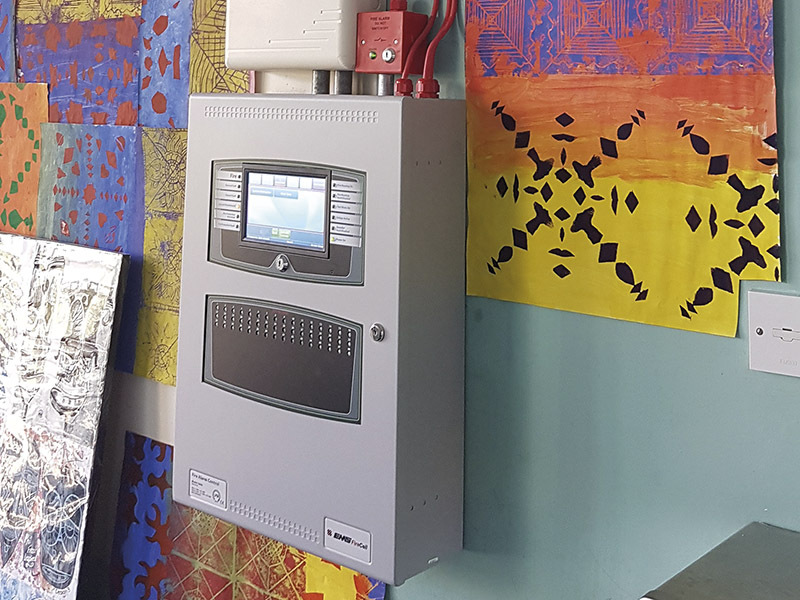 The installation not only provides protection to the pupils and school staff by giving them the earliest possible warning of a fire, but the design also offers the possibility of different alarm sounds for, say, a fire or emergency lockdown situation, all achieved through our EMS wireless addressable fire alarm panel. The size of the site and the number of buildings presented quite a challenge, but a tight timescale was also imposed by the need to install and commission the system during the school holiday, also working around the activities of other contractors. The systems were installed within the timescale set out at the start of the project with no major issues. Upon completion we carried out a full hand-over to the customer together with a training day to demonstrate how each of the systems could be used most effectively. Lavington School has been most impressed with the service it received during the installation by T H WHITE. In addition to the wireless fire alarm installation, T H WHITE will now install and maintain a new emergency lighting system. To find out all about the options for installing fire and security systems, why not take a look at our new website – efs.thwhite.co.uk – or if you have a specific project in mind talk to us on 01380 726656.